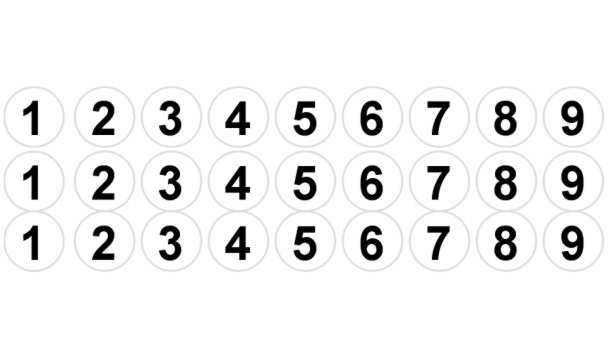 Unique to Scalextric Car Restorations this Scalextric decal kit comprises 27 individual number decals, 3 each of the numbers 1 to 9. The decals have a white circular background with the number printed in black. These decals were used on the vintage Scalextric cars from the 1960s through to the 1980s. 13mm (approx. 1/2 inch ) in diameter. The number decals are supplied pre-cut so that they are ready to fit to the car. 1. Ensure the location for the decal is clean, dry and grease free. 2. Remove the decal from the backing paper. 3. Apply the decal with firm even pressure. If you are not sure if these Scalextric decals are suitable for your slotcar then please contact us we can help you.